Want help with referrals and retention. As we’ve discussed on this website for years, referrals are the best source of leads. Secondly, effective relationship building is the key to turning a new client into at least SIX future policy sales. This is where most inexperienced agents drop the ball and don't know how to maintain that career momentum. How much would you pay to get six more future sales? Don't take this part of your business for granted. Relationship building is what creates the longevity of your insurance career. do you want to become their insurance agent, or just another insurance agent to your clients. It is a known fact that agents who do not invest in their business or themselves will fail. just as any other business, you must learn how to build your brand. This video below outlines a concept that can be a very effective tool to help you create a systematic system to help you with both of these issues. You can start small and add to this concept as you grow. One sale from this concept will pay for an entire year of this service and then you will reap more sales and referrals down the road. Special offer: for 1st quarter of 2018. No set up fees. just pay for the postcards, which includes postage and mailing for you. Understanding the significance of this concept. Early on in my career, I learned through a seminar I attended, that to be successful, you need to do something different to separate yourself from the rest of the insurance agents that your competing with. I took that advice and built my own relationship building system for my clients by using quarterly financial planning seminars and appreciation dinners, as well as other client relationship building ideas. 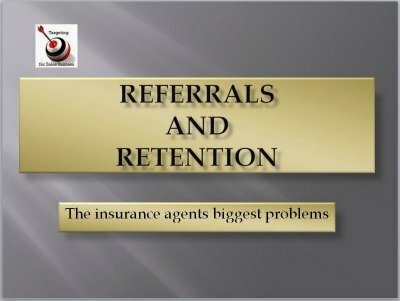 This referral and retention client relationship building concept we are introducing here, developed through enfront and Bill Corbin, can do exactly that. It can separate you from the competition and help you build your brand. It can also be a powerful recruiting tool. WHICH WE WILL CALL MICRO-MARKETING for insurance agents. THAT you CAN PUT ON AUTO-PILOT, to do the one thing, year round, THAT LOCKS IN YOUR CLIENTS AND HELPS YOU GENERATE REFERRALS, as well as help with recruiting leads and future sales. A SYSTEM THAT IS PERSONALIZED WITH YOUR PHOTO AND CONTACT INFORMATION, AND YOU CAN COMMUNICATE BY EMAIL OR BY PHYSICAL MAIL WITH ANY INDIVIDUAL OR SMALL GROUP. BESIDES THE TIME SAVING OF AUTO-COMMUNICATION, THE SYSTEM ORGANIZES YOUR CLIENT AND your PROSPECT INFORMATION, EVEN REMINDS YOU OF IMPORTANT FOLLOW-UP TASKS. We’ve also discussed the importance of efficient use of your time under our getting organized section and how to maximize your time. WOULD YOU BE INTERESTED IN SUCH AN ONLINE MICRO-MARKETING SYSTEM, AIMED DIRECTLY AT REFERRALS AND RETENTION WITH MAJOR TIME SAVING AS A BONUS? WE HAVE PARTNERED WITH BILL CORBIN, FOUNDER OF ENFRONT, AN ONLINE MARKETING COMPANY WITH STRONG KNOWLEDGE OF THE INSURANCE INDUSTRY, BOTH P&C AND LIFE. IT IS THE STRONGEST INTEGRATED PACKAGE WE’VE SEEN, INCLUDING HIGH-LEVEL SELL CONTENT, CONTACT DATA MANAGEMENT, AUTO-PILOT AND THE KIND OF ADMINISTRATIVE SUPPORT THAT SAVES THE COST OF A SECRETARY, many of us wish we had and can't afford. This special offer, for our readers and subscribers, is only available through our website. It will allow agents and managers to try this Referral and Retention system to see how it can actually benefit their long range goals. To learn more about how this system can benefit you, watch the above short video and if you want more detailed information click on the "Retention" or "Agency management" links below the video.